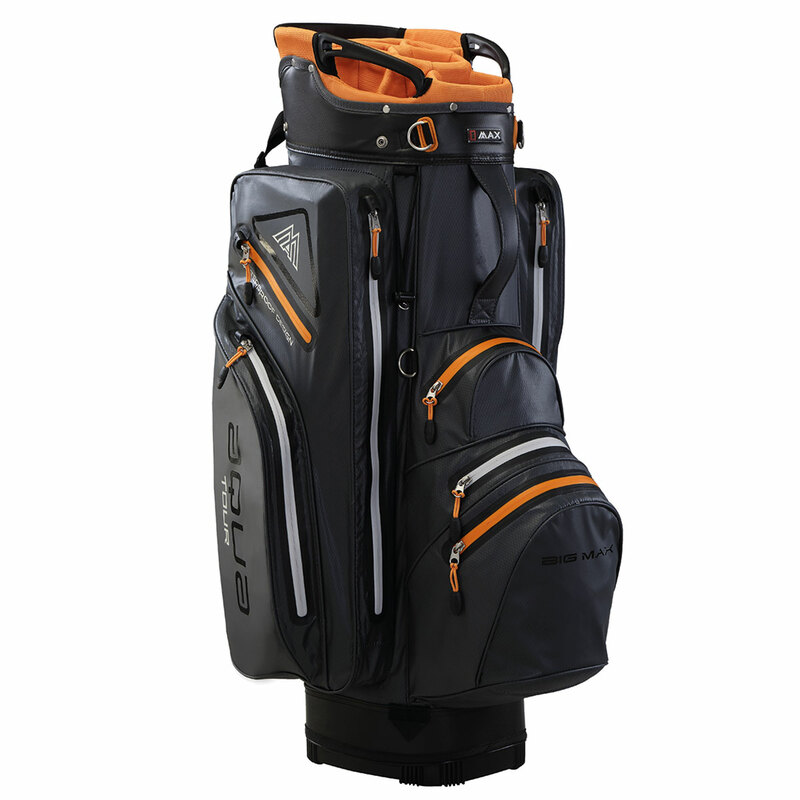 This Tour-inspired golf cart bag offers all the best attributes of any cart bag and has a fully waterproof construction to protect your equipment in the rain. 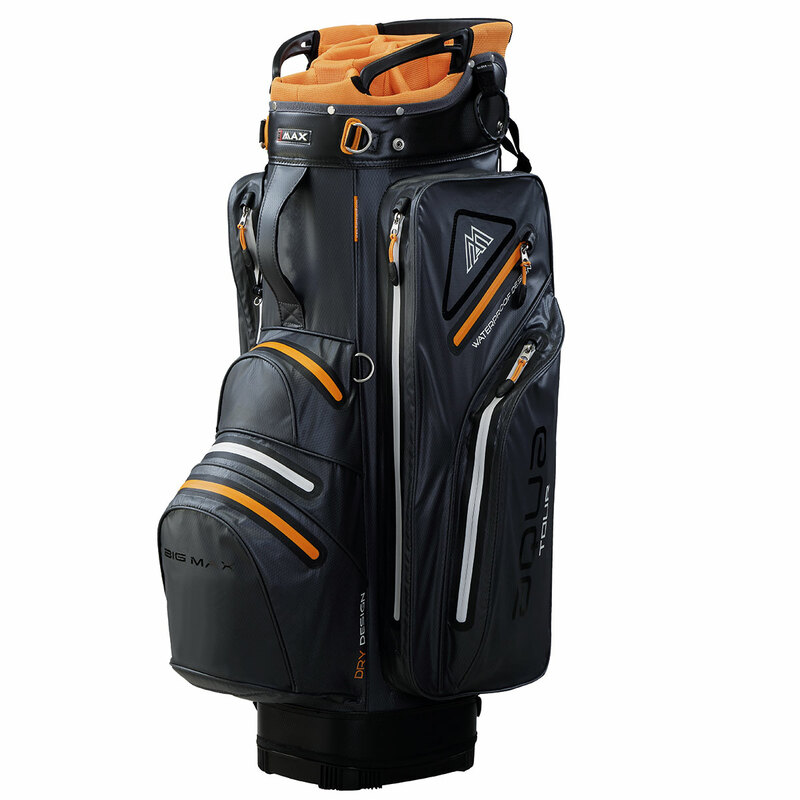 Waterproof materials, seams, and zips prevent moisture from getting inside any of the 9 pockets, which includes easy access pockets and dedicated battery pocket. 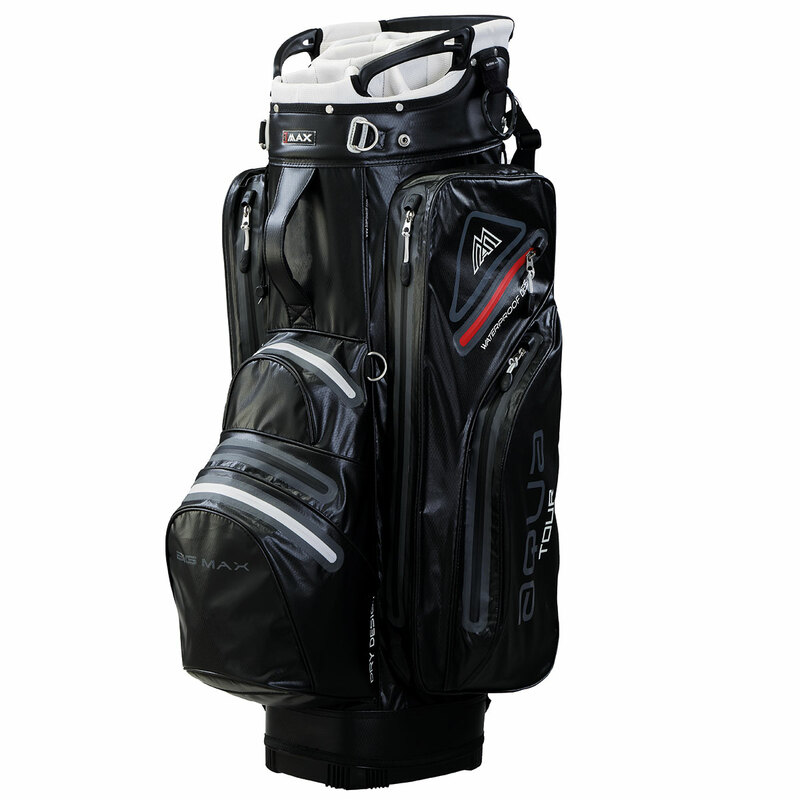 To organise your golf clubs in the bag a 14-way top with full-length dividers ensures easy club retrieval and placement, which includes an oversize putter well. 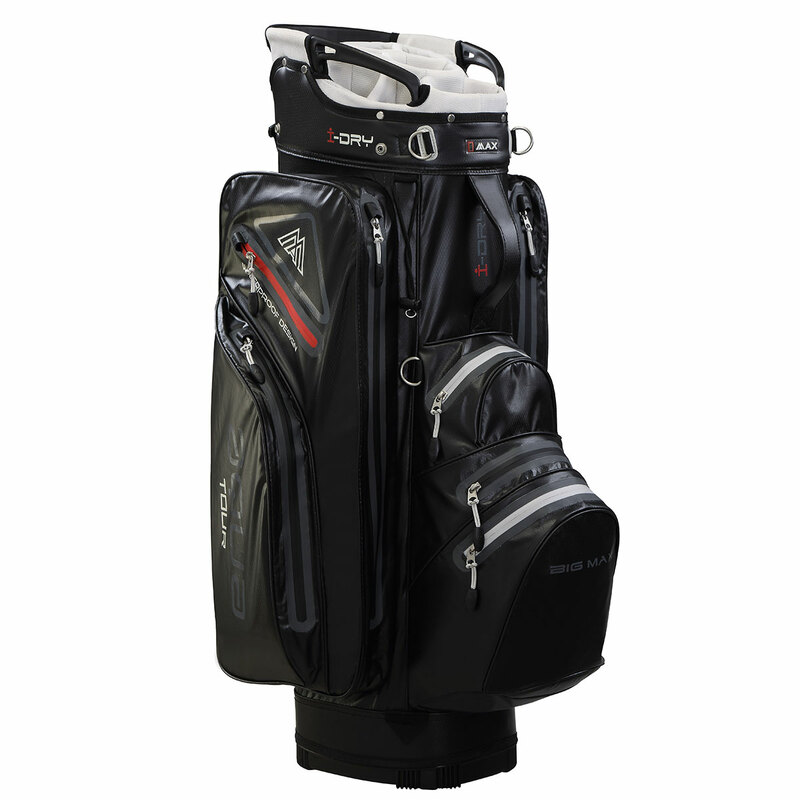 Built-in handles integrated into the top cuff to make it easier to lift to and from your transportation, plus a glove, towel and umbrella holders add more convenience. Weight 2.7kg.